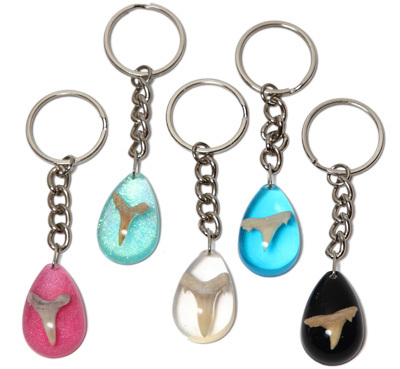 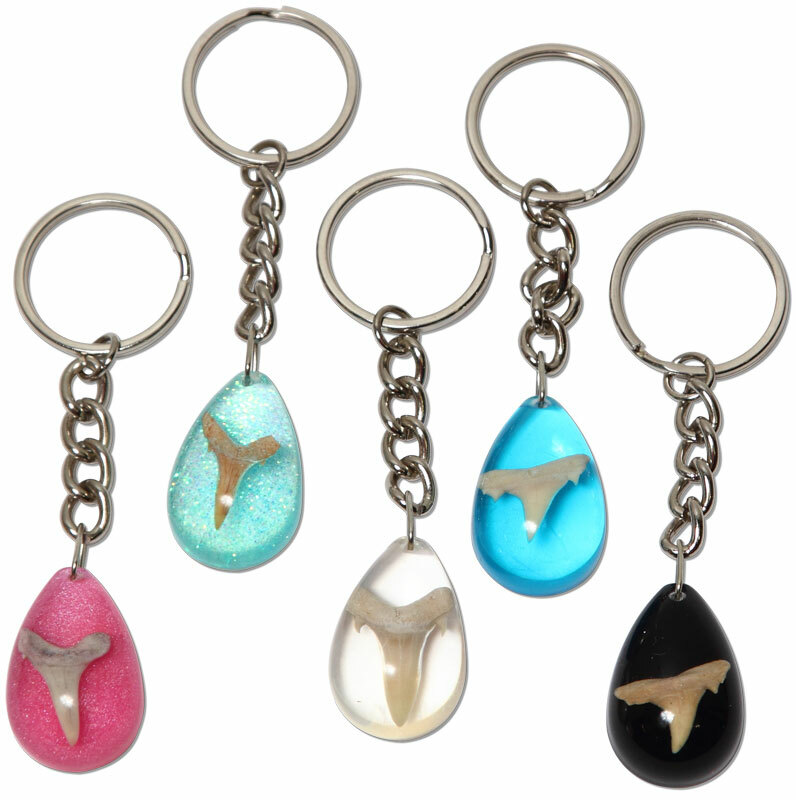 Fossilized Otodus shark tooth encased in resin on chained key ring. 1" key ring. Assorted colors.